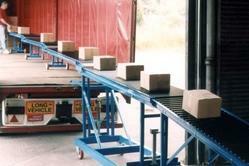 S S Automation is a trusted name in the market that is engaged in offering Loading Conveyor. Specifically engineered to fulfill the varied client needs, these efficient conveyors are appreciated and accepted for their robust construction and a longer functional life. The proffered series is made available in numerous specifications. Our clients can avail these machines at reasonable rates. 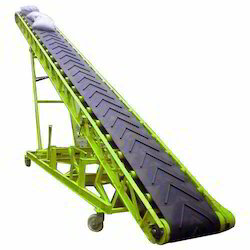 we are engaged in offering extensive array of Warehouse Loading Conveyor to our valuable customer. We are one of the leading manufacturers and suppliers of Vehicle Loading Conveyor that is widely acknowledged for its fast, safe and more efficient vehicle loading and unloading. These high functionality machines are precisely designed and developed to move all the goods safely and quickly. The proposed selection is provided in multiple specifications to fulfill the varied client needs. Truck Loading Belt Conveyor with Manual Hydraulic Automatic Conveyors assembled with AC Geared Motor with body of the machine mild steel construction and painted duly with epoxy powder coating. Our company is engaged in the manufacture and supply of Loading Belt Conveyor that is appreciated for its reliable performance and flexibility. 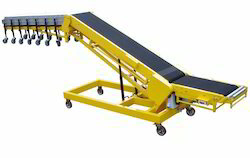 Portable and easy to operate, these high functionality conveyors are made available in several specifications to fulfill the varied client needs. 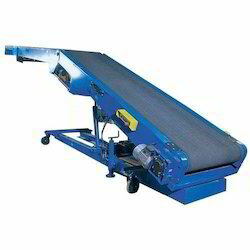 Our customers can avail these loading belt conveyors at market leading prices.